Avtrade is pleased to announce the appointment of Janice Ho as Regional Sales Manager – South Asia. With strong sales and aviation knowledge gained at leading component suppliers based in Singapore, Janice joins Avtrade to take on the role of Regional Sales Manager – South Asia. 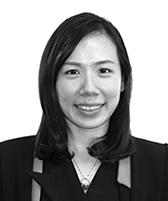 Based at Avtrade’s Singapore office, Janice will be responsible for developing new business opportunities, building customer relationships and delivering high quality dedicated account management. Janice offers valuable component knowledge and experience plus an in depth understanding of airline operations and customer requirement specific to Avtrade’s South Asian customer base.